Anne M. (Dickey) Hynicka — Workman Funeral Homes, Inc.
Anne M. (Dickey) Hynicka, 93, a resident of the Mennonite Home Retirement Community, her home away from home, and previously resided on Orchard Way, Mountville, passed away on Friday, June 15, 2018. She was born in Berlin, daughter of the late R. Earl and Elizabeth Tressler Dickey, of Berlin. Anne was the wife of the late Richard H. Hynicka, for 65 years before he passed away. She graduated from Berlin Brothersvalley High School and was employed at Chatham College, Pittsburgh and later at RCA Corp. Anne was an active member of St. Paul’s United Methodist Church, Mountville, serving in the Sunday School and was an advisor to Junior and Senior High age groups. She was also a Den Mother for the Cub Scouts of America. Give her fabric, sewing machine, needle and thread, yarn, knitting needles, or a crochet hook and she was happy and content. She is survived by three sons: Robert R. Hynicka, Taylors, SC; Rev. Robin M. Hynicka, Philadelphia; and Steven F. Hynicka, Mountville. 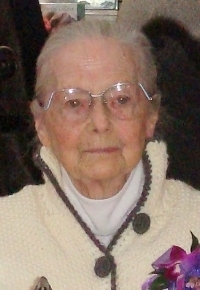 Anne was “Grammie” to seven grandchildren and fifteen great-grandchildren. She was preceded in death by, one brother: Robert Earl Dickey and two sisters: Ruth (Dickey) Azner and Miriam (Dickey) Pierce. The Funeral Service will be held at the Workman Funeral Homes, Inc., 114 West Main Street, Mountville, on Thursday, June 21, 2018 at 11:00 A.M. Interment in Conestoga Memorial Park. Friends may call from 10:00 A.M. to 11:00 A.M. Please omit flowers. Donations in Anne’s memory can be made to: Berlin Area Historical Society, 400 Vine Street, Berlin, PA 15530 or the Somerset Historical Center, 10649 Somerset Pike, Somerset, PA 15501. To send an online condolence, visit the condolence page.